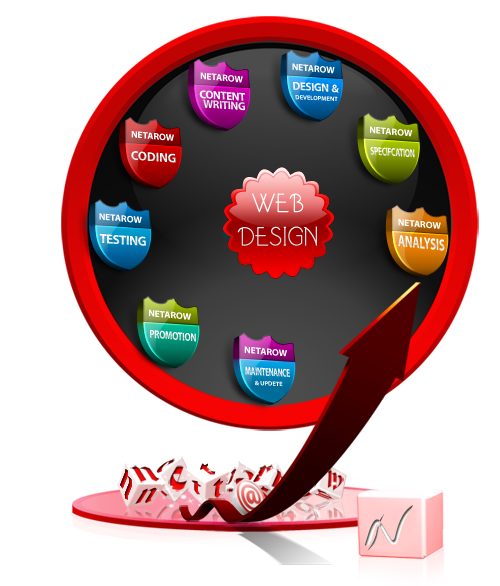 When delving into a web design project, it is important to know what is going on. The process is not an easy one, but it should be one that caters to your business. That is why a good web design company will be one with open communication and ideas to get the job done. When we execute a web design and development project, we consider the visual structure and organization every step of the way. We won’t stop working until you have the website you want. During the web design consulting process, we typically suggest site navigation on the top left where the eyes naturally begin reading and text that is broken up by size, boldness, color and bullet points,that is for english sites ,and vise versa for arabic sites. Text should be SEO friendly and never hurt the eyes or overpower other visual elements of the site. The visual elements, including graphics and videos, should always be relevant and inspire some sort of call to action.